Thomas: Time for another shrunken head review. I'm Thomas, the moderator. Welcome to those who are new to our review. Smith: Yes, welcome to all. Thomas: Today we are reviewing the film Legion, which stars Dennis Quaid and Paul Bettany. Guys I don't know about you, but I walked into the theater expecting one thing and walked out having gotten just that. Thomas: You didn't care for it either? Smith: Wasn't much to care for. God gets ticked and sends a horde of angels to wipe us out. Hilarity ensues. Thomas: Did it feel to you like it was just retreading old ground? Smith: Sort of. There was a lot of decent action scenes. And while I don't think there's been too many 'angels warring with humanity' movies, a lot of the plot points did strike me as overplayed. Thomas: What did you think of Paul Bettany as the archangel Michael? Smith: Paul Bettany is weird actor for me to watch. I always feel like he's underrated, not by others, but by himself. His acting has self esteem issues. Thomas: I don't have any idea what that means. Jeffrey? 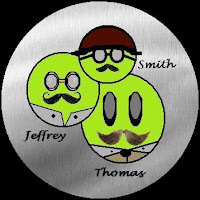 Jeffrey: It means Smith is a pompous windbag, who spends weeks trying to come up with stupid phrases that make him sound like he's qualified. Smith: Pretty sure that's not what I meant by it. Thomas: You two have been buddy buddy for weeks, why are you fighting now? Smith: I don't know. I didn't realize we were until this moment. Thomas: What's going on Jeffrey? Jeffrey: Smith ate the last pudding. Smith: What are you talking about? We're shrunken heads, we don't eat. The last time we even had a pudding was the night before we set off on our exploration. Jeffrey: Exactly. I was saving my pudding in the pantry for the next day, and you snuck in that night and nicked it! Thomas: That was years ago. Jeffrey: Still hurts from time to time. Thomas: This is really a discussion for another time. Did you have any thoughts on the film maybe? Jeffrey: Dennis Quaid did a film for a quick paycheck, Bettany was standard, Tyrese Gibson showed up, the film was mediocre at best, and I had my pudding stolen by that oaf. Smith: You've got to let these things go. For instance, I can't even remember how we happened to be on the expedition in the first place. I could hold that against someone, but I choose the higher path. Thomas: I'm so glad you've forgiven yourself for convincing us to take the trip. Now really, back to the movie. Smith: I was disappointed with the special effects. In a movie like this, that should be a selling point, but to me it felt slightly better than a Syfy original. Thomas: Almost reminded me -special effects wise - of 8 legged freaks. Jeffrey: I enjoyed the special effects. They gave me something to focus on so I would forget other detractors. Jeffrey: Like pudding stealing pigs who can sit quietly by their friend years after having enjoyed a dessert at their friends expense. Smith: So glad you could be big about it and let it go. I hope you're happy, you're making Thomas cry. Thomas: No he's not. Well, crap. Once again we've gotten off topic. I think I better just wrap this up. The bottom line is that Legion is not a very good movie. It had several of the elements; good actors, angels, angry God, but it just didn't have much to put it together with. The film seems sloppy and filled with holes. It's a wreck that none of the actors could possibly save. Any final thoughts gentlemen? Smith: Look, I know I've screwed up in the past. I suggested we take the trip out here. I'm the one who thought the natives would be friendly. It was me who suggested showing them how a match works. And yes, I did think that running away was a bad idea and that we should try and reason with them. For all of this I am sorry. But most of all Jeffrey, I am sorry for eating your pudding. I was a weaker man back then. I like to think I'm a better man now. I beg of your forgiveness. In short, I apologize. No matter what happens in life it always comes back to the pudding doesn't it? Man must have his pudding. yeah but since Jeff is English that could be just about anything. The trailer makes this look like a lot of fun but my gut is telling me to wait for DVD. Funny "non" review, though. Yeah I'm pretty much thinking it's not worth a ticket. I'll definitely catch it on DVD though.